This brief sketches the growing interest of the incumbent Bharatiya Janata Party (BJP) government in the Indian diaspora. Over the last three years, the prime minister has repeatedly called attention to the role that the diaspora will play in India’s development process and in the promotion of its foreign policy goals. The brief gives an overview of the policies that the present government has rolled out and examines the benefits from, and pitfalls of an increased focus on the diaspora. If Atal Bihari Vajpayee, during his 1998-2004 tenure, is credited for having promoted serious engagement with the Indian diaspora to develop mutually beneficial linkages, current Prime Minister Narendra Modi is getting known for his enthusiasm in expanding those earlier efforts. The prime minister’s vigour in this arena has been evident since the day he took office in May 2014, and it begins with his public pronouncements. In foreign trips and outreach activities with India’s expatriate communities, he persuades them to “contribute to India’s growth story”. The fundamental, unrecognised roadblock to India’s improved relations with China is that Beijing does not see new Delhi as an equal. India must earn the respect of its rival. Protestations from New Delhi to the contrary, India’s relations with its larger northeastern neighbour have at best been fraught with tension that have boiled over to outright hostility at the worst of times. Given China’s consistent efforts to undermine Indian security and standing on the world stage, it is beguiling to see a not inconsiderate number of Indians expressing the hope that the twenty first century will belong to a partnership between the two countries that will reshape the international order to the benefit of rising powers; with greater contacts through education, tourism and trade, the border issue would diminish in salience. A Chinese unipolar moment in Asia is a disaster waiting to happen. For India, there is only one option: standing up to China resolutely to protect its core interests Just when we thought India is getting its China policy on track, we have returned to the good old days of doing business with China. Discouraging government officials from attending a planned public event titled “Thank You India” being organised in New Delhi on 1 April 2018, Foreign Secretary Vijay Gokhale reportedly wrote to the cabinet secretary that “the proposed period will be a very sensitive time in the context of India’s relations with China. Participation by senior leaders or government functionaries, either from the central government or state governments, is not desirable, and should be discouraged”. In Maldives, New Delhi decided that asserting its interests would be tantamount to provoking the Chinese, so we have taken a step back, letting China roll all over us. And a think tank in New Delhi has been asked to postpone an annual conference just because its deliberations may annoy the Chinese. The projects cover transportation, water supply, electricity, ports and an airport. COLOMBO: By the end of 2017, Chinese companies had completed more than US$ 15 billion worth of infrastructure projects in Sri Lanka, says the Chinese Ambassador, Cheng Xueyuan. The projects cover transportation, water supply, electricity, ports and an airport. “Chinese projects have created more than 100,000 jobs for Sri Lankans and trained tens of thousands of technical and management personnel,” Cheng said. The Colombo International Container Terminal (CICT) employs more than 1,000 local technical staff, who account for 90% of its employees,” the envoy said in a statement on Sunday. “The Norocholai Power Station, built by China, provides about 40% of Sri Lanka’s electricity ending a history of frequent power cuts. The Colombo airport Expressway is a great convenience to international travellers and has contributed to the blooming of tourism,” he said. 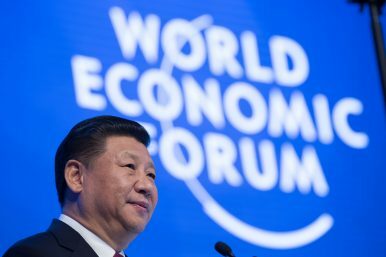 To even begin to reach an answer to that question, one has to understand China’s history and philosophy, and how they have shaped its leaders’ worldview. Six months ago, addressing a landmark Congress of the Chinese Communist Party, President Xi Jinping declared “a new era of socialism with Chinese characteristics”. Xi also noted that “the wheels of history roll on” and “the tides of the times are vast and mighty”. he West dismissed the “new era” as yet another party slogan, and the idea of history rolling on as rhetoric. Carefully read, though, Xi’s speech was the expression of an idea of order that, one way or another, is very likely to change the world. Understanding how and why is the question of our time. The quip “the only thing worse than having your product copied in China is to not have it copied in China” from years ago resignedly foretold the importance of China: not having your product copied in China meant that there wasn’t enough demand for your product to be even copied! The mass producing and assembly of low cost (and knock-off) products of technology brands created the image of China as a country with shanzhai, slang for businesses that thrived on fake or pirated products. “In a burst of patriotism, China’s central bank swore loyalty to the country’s Communist leaders on Monday by vowing to ‘always walk with the Party’. Whereas most central banks around the world try to assert their independence from the government and politicians, China’s central bank has exercised no policy autonomy. The nationalistic ardour from the People’s Bank of China is the latest pledge of support for the ruling Communist Party ahead of the 90th anniversary of its founding on Friday. China will be a globally dominant technology superpower by 2050. It has the leadership, the policies, the resources, the capabilities, the will and the imagination. The quip “the only thing worse than having your product copied in China is to not have it copied in China” from years ago resignedly foretold the importance of China: not having your product copied in China meant that there wasn’t enough demand for your product to be even copied! The mass producing and assembly of low cost (and knock-off) products of technology brands created the image of China as a country with shanzhai, slang for businesses that thrived on fake or pirated products. Hackers taking down the U.S. electricity grid may sound like a plot ripped from a Bruce Willis action movie, but the Department of Homeland Security and the FBI recently disclosed that Russia has infiltrated “critical infrastructure” like American power plants, water facilities and gas pipelines. This hacking is similar to the 2015 and 2016 attacks on Ukraine’s grid. While it hasn’t risen beyond scouting mode, the specter of sabotage in the U.S. now seems more realistic than it used to. Clearly, there’s no time to waste in shoring up the grid’s security. Yet getting that done is not easy, as I’ve learned through my research regarding efforts in to stave off outages in hurricane-prone Florida. Pesky humans still falling victim to social attacks, Verizon report finds, but ransomware has become the largest malware threat Humans are still one of the principle weak links in an organisation’s cyber defences, the Verizon 2018 Data Breach Investigations report (DBIR) has revealed. But the report also points out that ransomware is still a top cybersecurity threat, and ransomware attacks have doubled since 2017, and are now targeting business critical systems. Last year’s Verizon report also painted a bleak picture of the cyber security landscape when it found that cyberespionage was the most common type of cyber attack seen in manufacturing, education and the public sector. The United States is building a military coalition to deter Syria's use of chemical weapons. 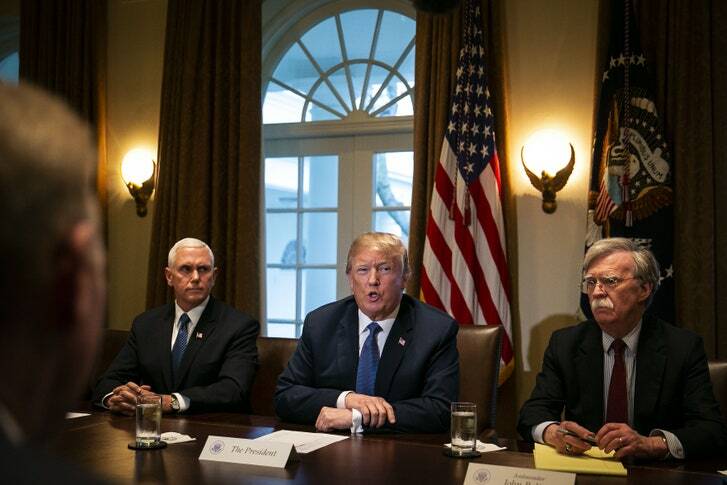 This coalition may conduct a broader operation with a bigger target list than the U.S. strikes conducted in April 2017, but it would not be intended to change the civil war's frontlines. Like 2017's strikes, any potential operation will try to avoid Russian casualties and mitigate risk of further political escalation for the coalition. U.S. companies increasingly find themselves on the front lines of geopolitical conflicts waged in cyberspace by foreign actors. And yet, unlike the physical domain, there is no Customs & Border Protection, no Coast Guard or Air Force, to screen for bad actors seeking to come to this country to do harm. Rather, the role of detecting and responding to unauthorized cyber intrusions is left largely to overworked security teams across U.S. industry. Following years of effort and billions of dollars’ worth of research and planning, the nation finally has a fully operational force of cyberwarriors at U.S. Cyber Command. Yet, as those troops confront adversaries around the world, there’s uncertainty across government about how to best make use of them. While lawmakers push the Trump administration to exact revenge for years of cyberattacks on U.S. targets, a quiet but constant tug of war is raging between the intelligence community and the military over the future of government-backed hacking operations. Congress, the White House and the nation’s spy agencies all have something at stake, but the tension is perhaps most intensely felt at the National Security Agency, which serves as a partner agency to U.S. Cyber Command. The NSA is not the only intel agency challenged by the warfare unit’s increasingly influential role: The CIA, the FBI and the Pentagon’s other intelligence agencies are also trying to shape Cyber Command’s future. Each agency understands offensive hacking in its own way, and that dissonance only intensifies the debate, according to current and former U.S. officials. The First Gulf War put American technological advantage on display against an adversary with no means to respond. Media images released throughout the campaign paid tribute to smart bombs, long-range rockets, and vastly improved ground, air and sea-based systems. America’s technological abilities were awe-inspiring. A quarter-century later, the United States continues to seek technological superiority. Laser weapons, artificial intelligence and unmanned systems—the very stuff of sci-fi movies—are within our grasp. Unfortunately, such advances do not provide the comfort level they previously did. Unlike the hapless Iraqi Army circa 1991, today’s potential threats and adversaries have the means to respond. Gulf War-era technological advantages like night vision and GPS are becoming commonplace. Advances in computer and information technology enable adversaries to develop new tactics in cyberspace. And nation states have invested in weapon systems and strategies that offset American advantages. Living in a Time of Twitter and Mass Murder in the U.S. The number of mass public attacks in the United States has increased, and the media attention they generate has created the impression that the country is more dangerous than ever despite historically low homicide rates. While mass public attacks accounted for less than 1 percent of all homicides in the United States last year, their indiscriminate nature is a cause for concern, but not panic. Authorities and security managers must continue working to prevent such attacks and to train people to respond to them. At the same time, individuals must take responsibility for their own security and be prepared to react in the off chance that they find themselves near a mass public attack. QUANTICO MARINE CORPS BASE: The Army wants the other services to endorse its Multi-Domain Battle concept for combined operations across all domains — land, sea, air, space, and cyberspace — against high-end adversaries like Russia and China. The goal is to get a multi-domain concept co-signed by all four branches by October 2019. To get there, the Army has to listen to its sister services and revise its ideas. Google is providing TensorFlow APIs to the Pentagon for Project Maven, which aims to leverage AI to increase drone effectiveness. Building a slide deck, pitch, or presentation? Here are the big takeaways: Internal emails reveal that Google is providing TensorFlow APIs to the Pentagon's Project Maven, a computer vision program for military drones. It's unclear what specifically Google is providing outside of APIs, and the company states that its contributions are non-offensive in nature. Google has lent its TensorFlow machine learning platform to the Department of Defense's Project Maven, according to a report from Gizmodo. A Puma unmanned aircraft is launched during a multinational joint equipment training event. The Pentagon has completed a new roadmap for unmanned systems development and it is expected to be released after two new undersecretaries sign off on it, a department official said April 10. The document was anticipated to be released last year. Deputy Assistant Secretary of Defense for Tactical Warfare Systems Jose Gonzalez said he wants it to be jointly approved by the undersecretary of defense for acquisition and sustainment and the undersecretary of defense for research and engineering before it is unveiled. Those two positions came into being earlier this year as the result of a reorganization that split up the Pentagon's acquisition, technology and logistics office. Ground pounders may soon be swatting those pesky drones from the battlefield’s airspace with the help of a new hand-held device. 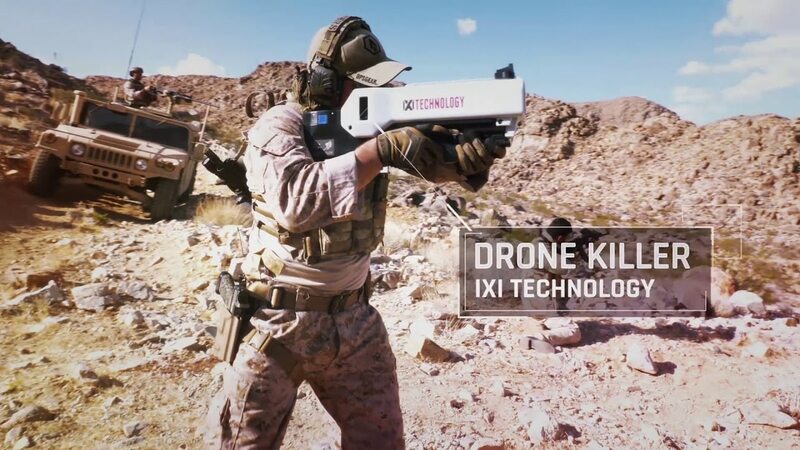 The IXI Dronekiller is the first and only hand-held counter-drone technology employing the use of software defined radio, according to IXI Technology representatives at the Sea-Air-Space Exposition in Washington, D.C., this week. “This is not a broadband jammer, like what you can buy online,” a company official told Defense News. “This is software defined radio, so we’re targeting whatever specific frequency drones are operating on.” Each drone has a different type of frequency, for example the DJI Phantom — a common commercial-use drone — operates on the 2400 to 2483 MHZ frequency, or 2.4 GHZ band. Within that 2.4 band, an operator selects different channels to link between them and the drone itself.